Detection of the environmental contaminants in the agricultural and food industries is a major challenge. Indeed, the widespread contamination of food by pesticides and other pollutants has raised concerns of the public. Fast, cheap and sensitive sensors are thus needed. The technology of enzymatic nanobiosensor offers a quick and cost-effective solution to the current concerns of agri-food industry. This article reviews recent trends in enzymatic nanobiosensor technology employed in agri-food industries, in particular the design of a bioconjugation strategy. 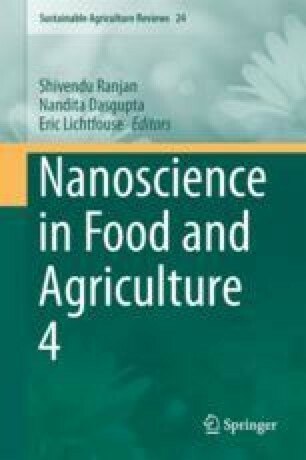 Nanobiosensors offer ultrasensitivity and quick detection time for various pesticides and food-borne contaminants. The minimal detection limit of contaminant in soil samples by an enzymatic nanobiosensor is in the range of 50 picogram per litre, while the minimal contaminant detection limit in food samples is 1.6 nanomolar. The author would like to thank Director, Centre for Chemistry and Biotechnology for providing necessary facility to carry out this work at Deakin University, Australia. The author declares that he has no conflict of interest.